"Tucker sold us our house. Our overall experience with Tucker was excellent, and we were not easy clients. He was very flexible and made himself available when we wanted to see properties. His knowledge of the local neighborhoods in addition to the entire state and neighboring states was impressive. We felt very comfortable dealing with Tucker and very confident that he would find us the perfect house for the perfect price...and that's exactly what he did. If we are in the market for real-estate in the future we will definitely call Tucker first." "Our experience with Tucker and Melinda was exemplary! From our first meeting when we originally decided to put the house on the market to the final closing was stress free, professional and comprehensive. Their suggestions for improvements were reasonable and they took care of all the inspection details, including facilitating the contractors who did top notch work at very fair prices. 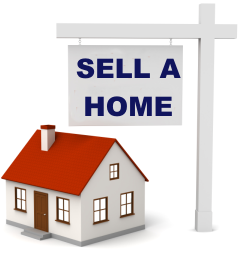 I would recommend their team for any sale of any property in the Wilmington area." The Robbins Team has been helping area families buy and sell their homes for the past 45 years. Our core values of attention to detail and dedication to excellence along with our very successful team of specialists have helped us move over 3000 area residents into new homes in Northern Delaware and nearby Chester and Delaware Counties in Pennsylvania. Our goal is to provide our clients with a superior real estate experience as we negotiate the best deals for them, so they can buy or sell their home. Our clients run the gamut from first time buyers all the way to professional investors, but no matter what level of experience you have, we promise to make the transaction easy and uncomplicated. Whether we are dealing with For Sale by Owners (FSBO), new construction, or traditional transactions, our team can make it happen - we have the experience and the resources to meet your needs successfully. We have many exciting area attractions, including Longwood Gardens, Winterthur Museum and Hagley Museum (birthplace of Dupont Company). Whether it's wineries, local craft beer emporiums, historic sites, airports, universities, or festivals, you are in the middle of a vibrant community. 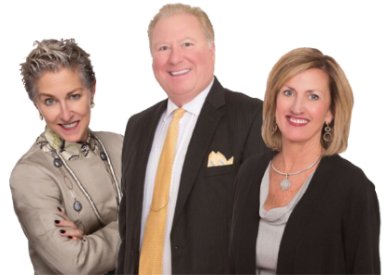 The Robbins Team offers unparalleled service to ALL clients in the Wilmington Delaware real estate market. Your complete satisfaction with our service and representation is our number one priority. The Robbins Team serves the entire South Pennsylvania, Delaware and nearby Maryland area real estate markets. Featured Properties for Sale: Some of the best properties for sale are displayed right here. As experts in the Wilmington real estate market, we can provide you detailed information on these homes, or any others! Email Listing Alerts: Be the first to know what's coming up for sale in the Wilmington Delaware real estate market with our New Property Listing Alerts! Just tell us what you're looking for and we'll email a daily update of all homes listed for sale since your last update. You can unsubscribe at any time. 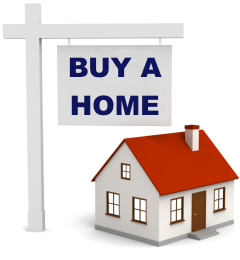 For home buyers, our knowledge of the Wilmington Delaware real estate market is second to none. We know the neighborhoods, the current market conditions, and the opportunities for buyers in today’s market. Our buyer specialists are committed to helping you find the home you want at the best possible price. Finding your dream home or finding a buyer is only part of the challenge of a successful transaction. There are many details that need to be managed through closing, and Berkshire Hathaway HomeServices brings the depth and breadth of skills and experience required to ensure your transactions go smoothly. Our commitment is to provide you the quality of service and communication you desire and deserve.